Science can be a lot of fun! 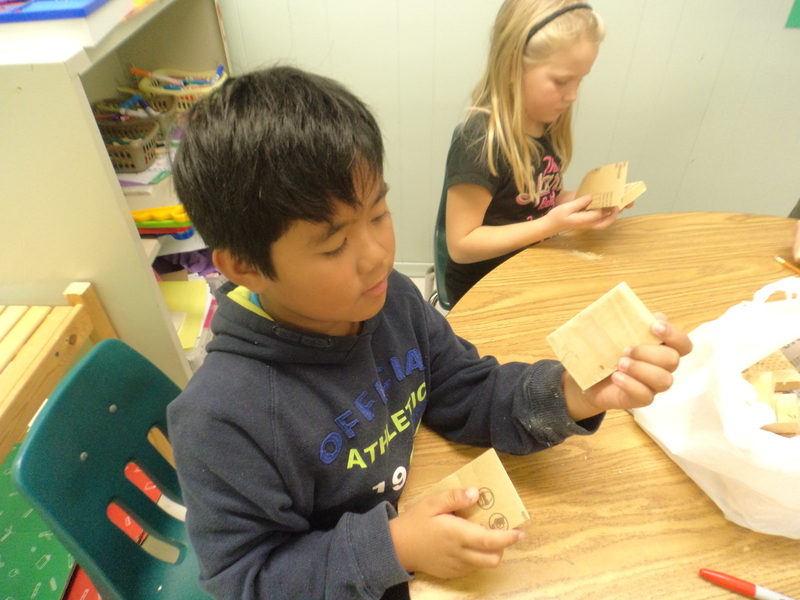 Students were kept busy experimenting at 3 different centres. 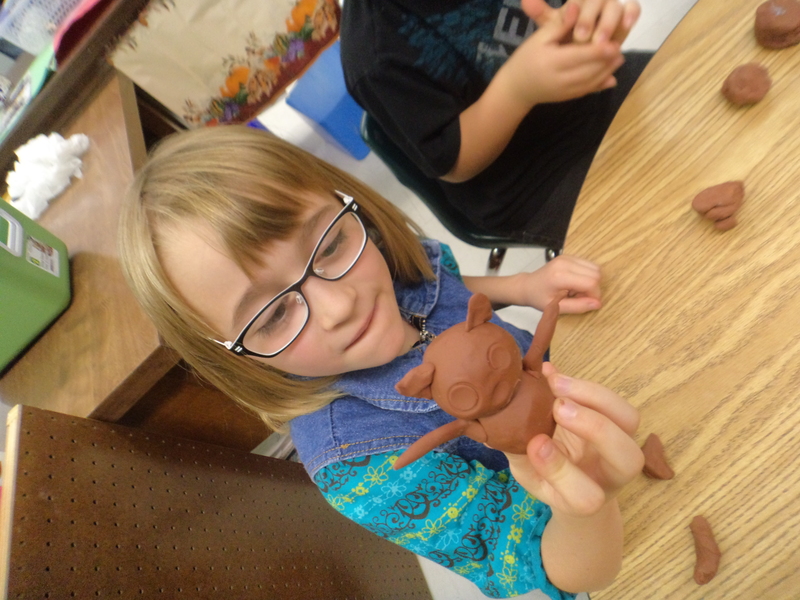 At each, they did different things to different objects so that their characteristics changed! 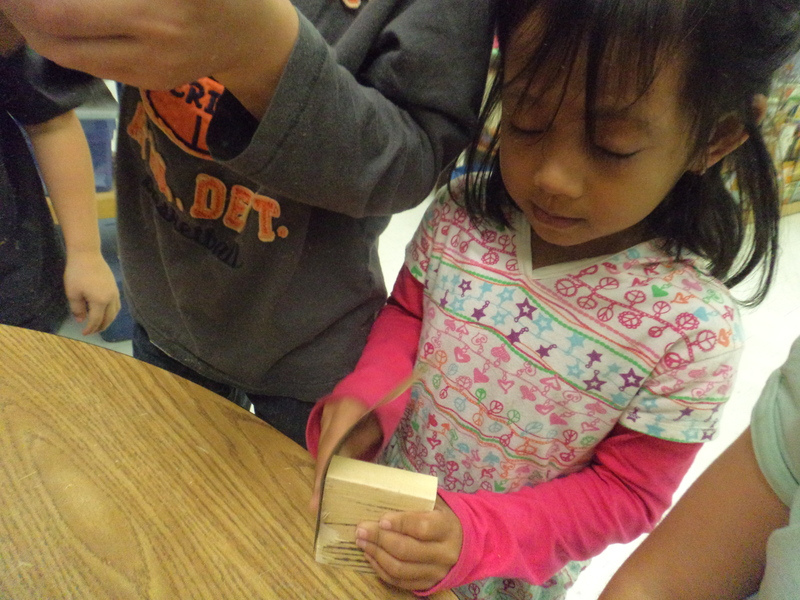 At one centre, students used sandpaper to change blocks of wood from rough to smooth. 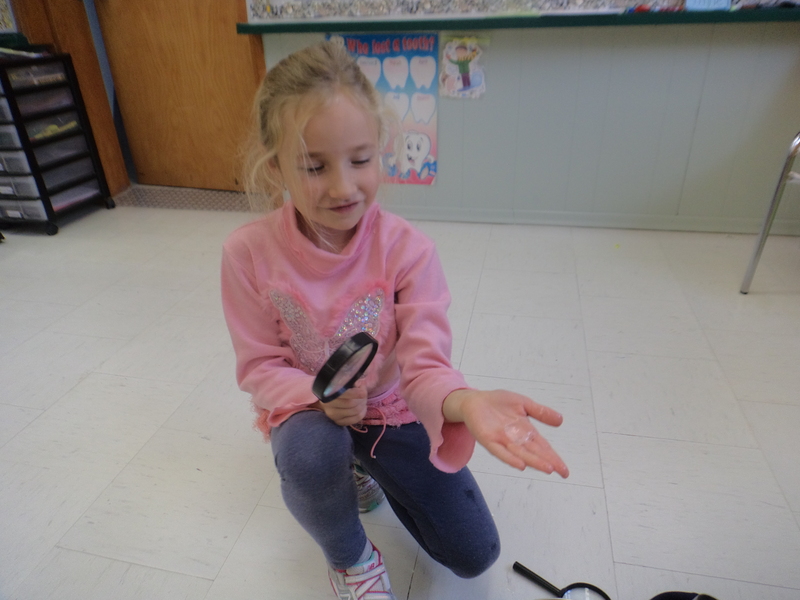 Here, students observed ice cubes, and found that if they held them in their hands, the ice changed to water – from a hard solid to wet liquid. They were excited to observe the change in the bowl when they came in from recess! 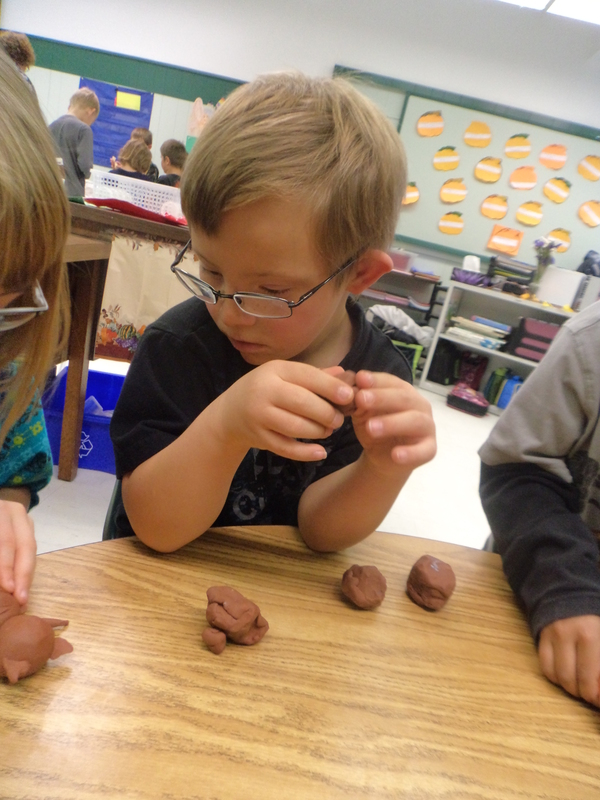 Others were challenged to change lumps of clay with their hands, and turned formless, shapeless lumps into amazing shapes. We had a special visitor in our classroom today! 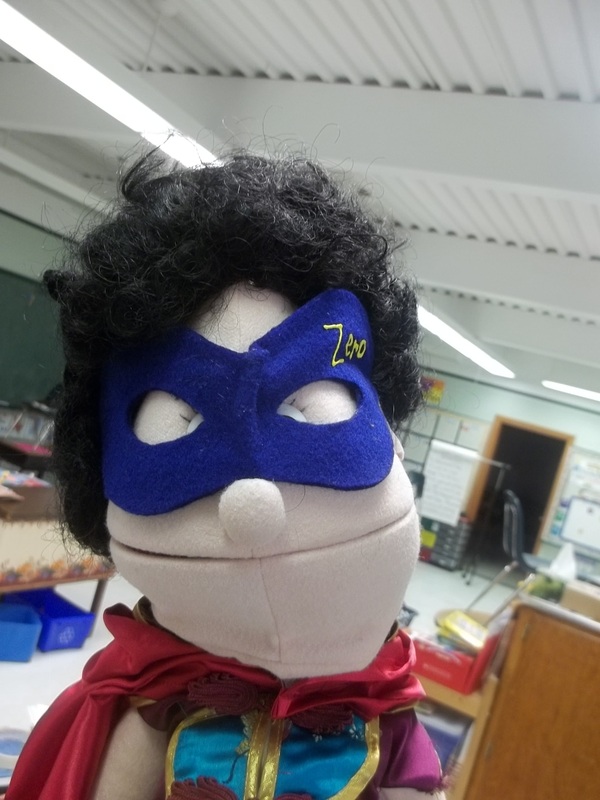 Zero the Hero comes to school every ten days to help us to learn all about the number zero! 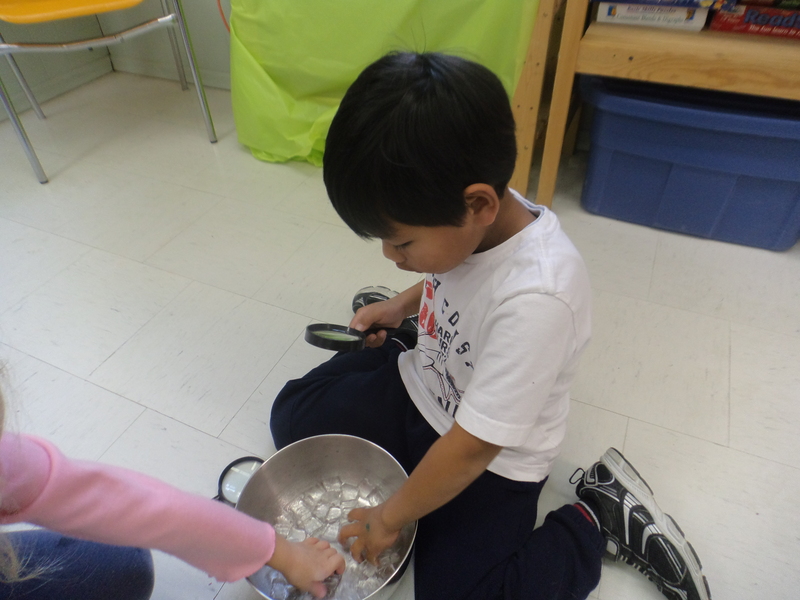 He always brings a snack and a story, and helps us to do all sorts of things, from skip counting, to learning about odd and even numbers, to finding patterns. (Math can be SO delicious!) Today was our 20th day, so of course we were thrilled to see our friend in our classroom! Zero the Hero LOVES the number 100. We happened to pick the number 100 as our Mystery Number of the day, so he was pretty excited! We had to help him calm down a bit – he was so excited he was jumping all over the place!